I got my journal access e-mail from the Chartered College of Teaching earlier in the month. I had a go today to see what was available, and found a reasonable set of geography journals and articles to access free of charge. 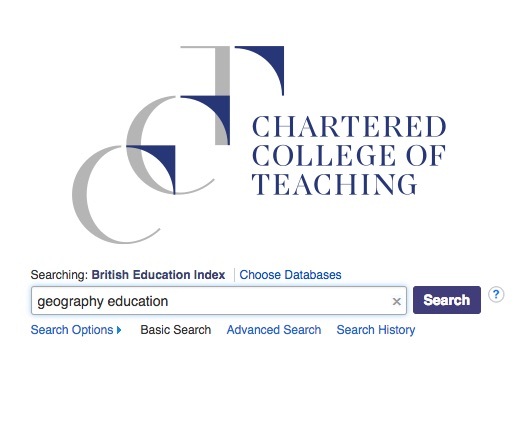 I already have JISC access to 'Geography', 'Teaching Geography' and 'Geographical Journal' through our GA subscription, but the CCT access also allows me to view articles from a number of databases. Each database offers the access to a number of journals and articles.